CT2104-1 an 88% tungsten carbide/12% cobalt coating applied using the plasma spray process. 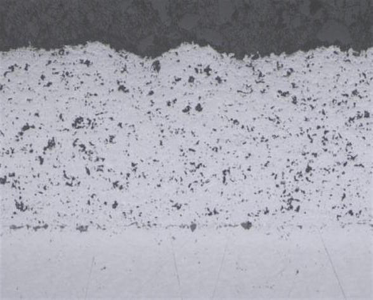 It is a high quality coating for low temperature wear resistance, highly recommended for resistance to particle erosion, hard surfaces, fretting and abrasive grains. CT2104-1 is used in applications such as aircraft flap tracks, aircraft turbine shafts, exhaust fans, concrete mixing equipment, and plug gages. Finish CT2104-1 by grinding with diamond wheels. CT2104-1 should be wet ground. CTS can recommend grinding parameters if needed.